The e-learning syllabus has been designed in accordance with the IMO/SAMSA code requirements, for seafarer study. 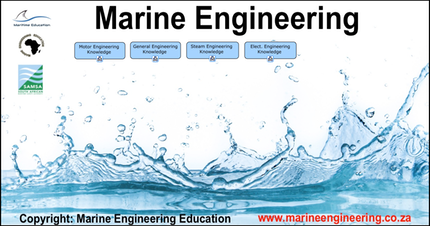 The system comprises images, sketches, photographs, animations, video clips, manufacturers manuals, assignments and other relevant files to place the textbooks into context. The software allows for ship to shore communication that allows for the transmission of data, without the need for an internet connection (working via Email - import-export functionality). All together the e-learning platform comprises over 2,100 files, including the learning assignments (in different forms) so that participation on the part of the student is guaranteed, and feedback can be given from the lecturer.